The most fashionable sweater you’ll ever wear this holiday season comes in a multitude of colors, adorned with the cutest accents in all the wrong places and if you’re lucky, lights up! 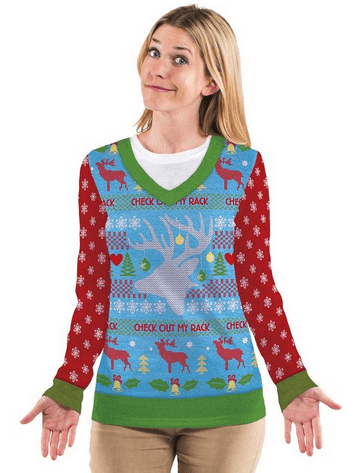 Yes, the most fashion forward holiday sweater would have to be one that’s pretty ugly. We know National Ugly Christmas Sweater Day has already passed, but that doesn’t mean you can no longer flaunt your knits and ruin other people’s day. 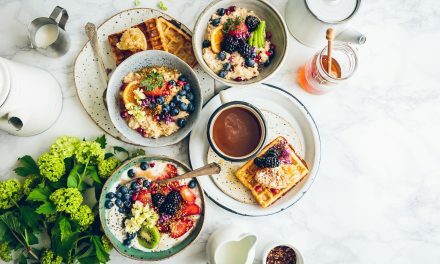 Although wearing ugly sweaters sometime in the month of December has become a tradition since 2011, there are actually a lot of other shocking facts about these hideous creations that you might have not known. Did you know that there is an ugly Christmas sweater icon? Yep, you guessed it! He’s Bill Cosby! The Cosby Sweater Project kept track of all the hideous sweaters he’s ever worn and like us, you won’t believe how many there are. See them all here. Did you know that hundreds of thousands, even millions of ugly Christmas sweaters are sold every year in the United States? Bloomberg reported that Forever Collectibles, a leading marketer and manufacturer of collectibles, novelty, and promotional products, is looking to sell 300,000 sweaters this year alone! That’s just one company, excluding big retailers and work at home moms who sell vintage ugly Christmas sweaters online. 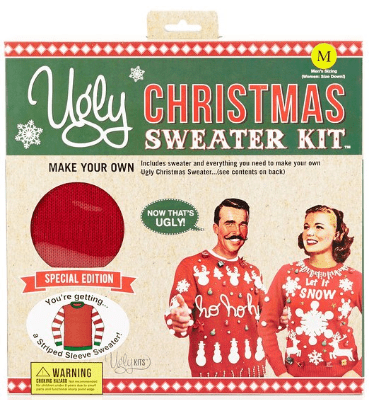 Did you know that there are actually ugly Christmas sweater DIY kits? Yes, some people actually want to add a personal touch to their holiday outfit. 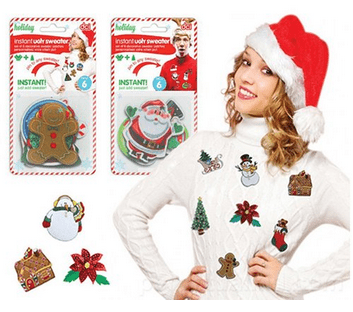 They usually come complete with a sweater, stencils and embellishments to ugly-fy your sweater. Some sell embellishments only, which is more cost effective. Admit it, you have at least one sweater you don’t have plans of wearing, right? Now’s the right time to put it to good use! 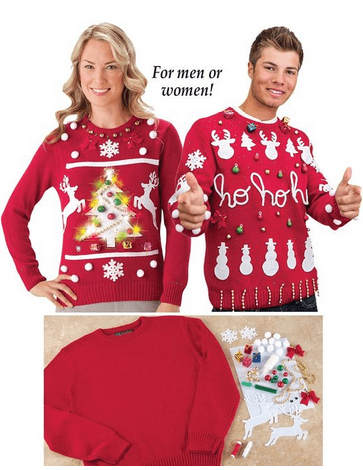 So where do you get your hands on these make-your-own-hideous-sweater kit? Amazon has them, of course! But so do Nordstrom, Macy’s and SkyMall. See our Amazon DIY kit “favorites” below. 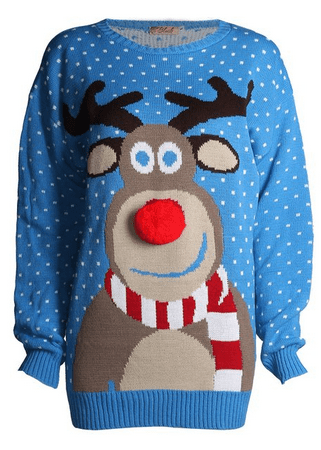 See more ugly Christmas sweaters on sale here.